Cayman Cup ball kids stand with, fourth from left, girls runner up Madison Sieg, Miss Cayman Anika Conolly, Cayman Islands Tennis Club coach, and girls winner Catherine Aulia. Cayman Islands Tennis Club head coach Rob Seward said last weekend’s Cayman Cup helped put the country on the map for international competitions. The 80 players – mostly juniors – who competed came from all over the world, he said, including Australia, Finland, Chile, Columbia, Canada and the United States. Japan’s Shintaro Mochizuki won the boys division, beating Keshav Chopra of the United States, 6-2, 2-6, 6-3. On Friday evening, Cayman’s Jade Wilkinson capped off a busy week of tennis with a straight set win over fellow Caymanian Lauren Fullerton 7-6, 6-1 in the women’s final of the 2017 Cayman Cup. Afterwards,Wilkinson said the match, which became testy at times, was a battle. After a highly contested battle, we catch up Cayman’s Jade Wilkinson moments after claiming her third Cayman Cup title in a straight set win over fellow Caymanian Lauren Fullerton 7-6, 6-1. Friday night at the Cayman Islands Tennis Club will see an all Caymanian women’s final in the adult singles division as Jade Wilkinson will take on Lauren Fullerton. 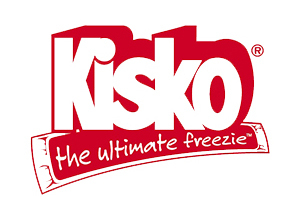 Wilkinson defeated both Yoo Mi Astley and Iloana Roark , while Fullteron defeated Marcia Osario and Jennifer Frizelle. Wilkinson will also play in the mixed doubles finals, teaming with Callum Theaker to take on Richard Harrison and Sienne Hawkes. Day three of the 2017 Cayman Cup saw Cayman’s Alex Claybourn battle hard against Nicaragua’s Joaquin Guillame in the first ever under-14 finals at the 2017 Cayman Cup. Claybourn lost 6-1, 6-2 and finished second over in the tournament’s inaugural under-14 junior bracket. The adult bracket began on day three as well, with Cayman’s Jade Wilkinson and Callum Theaker teaming up in mixed doubles to defeat Ilona Groark and Alex Sandor (10-1, 10-2). They will face Grant and Piper Freeman next. Players from Finland and Australia are among the more than 120 tennis players battling this week for the third Cayman Cup. The weeklong event at the Cayman Island Tennis Club features two junior age divisions as well as adult competition. There will also be a celebrity fundraising event on Friday, the proceeds of which will go to hurricane relief. Tournament director Karl Hale said the event, sanctioned by the International Tennis Federation, has grown each year. “We have over 40 countries,” Mr. Hale said. The event, he said, helps local tennis players. 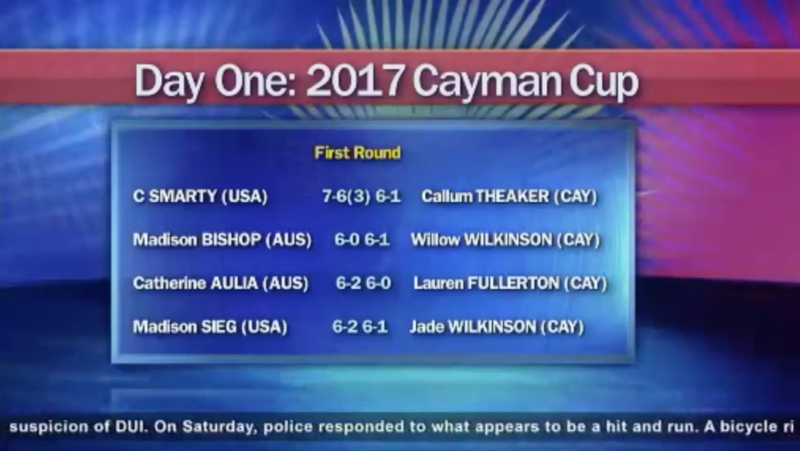 In the first round of the under-18 boys bracket, Cayman was not as lucky with all four players losing on the opening day. Callum Theaker battled USA’s Chukwudumebi Smarty, going to an extra set in the first frame, losing 7-6 (3). Theaker dropped the next set 6-1, and said losing the opener was the turning point. Canada's Samantha Horwood won her first match today. The 2017 Cayman Cup tennis tournament served off on Monday, 30 October with 120 junior players from more than 20 countries are participating in the event being played at the Cayman Islands Tennis Club in South Sound. This is the third year that the tournament is being played and is sanctioned by the International Tennis Federation (ITF). Some of Cayman’s top juniors featured on the opening day of play. In the boys U18 draw, 17-year-old Callum Theaker lost 7-6(3), 6-1 to Chukwudumebi Smarty of the United States. In the girls draw, Lauren Fullerton and sisters Jade and Willow Wilkinson had a tough time as they were all ousted in the first round. Cayman’s only international recognized tournament will see an influx of youth players as the 2017 Cayman Cup will now feature an Under-14 division for the first time in it’s third year of the existence. Tournament Director Karl Hale says with over 200 players coming from around the world as well as local talent, the expansion was necessary. Hale goes onto add local players such as Cayman’s Callum Theaker have seen significant growth in the games with the injection of international talent. Hundreds of spectators packed into the Cayman Islands Tennis Club to watch Daiki Yoshimura defeat Tyler Zink in the final match of the ITF tournament on Saturday evening. It was the biggest-ever crowd at the club and the first time local tennis matches were broadcast live on TV across Cayman. Tenth-seeded Yoshimura powered his way to a 6-1, 6-0 win over top-seed Zink. Zink is ranked 465 in the world. Yoshimura is 1,350. It was the biggest-ever crowd at the club and the first time local tennis matches were broadcast live on TV across Cayman. The Cayman Cup is quickly coming to an end as the men’s semi-finals wrapped up on Friday 04 November. Number one Tyler Zink, won the semi-finals, along with Daiki Yoshimura of Japan. Yoshimura defeated number two seed Blaise Bicknell in an upset yesterday winning in two sets. The Under 18 boys final kicks off on Saturday 05 November at 6:30 pm. Lots to cover on the 2 November episode of Let’s Talk Sports, brought to you by Elite Marble and Granite. First, we talk 2016 Cayman Cup — the International Tennis Federation-sanctioned tournament taking place at the Cayman Islands Tennis Club this week. Tournament director Karl Hale as well as club manager Rob Seward join host Kevin Morales to talk about the event. Cayman’s Callum Theaker and his doubles partner Jamaica’s Blaise Bicknell, open served at the 2016 Cayman Cup today (November 3). Theaker and Bicknell were up against two of America’s top 10 doubles players. Theaker and Bicknell won the first set but unfortunately lost the final two. Theaker’s opponents were the US double finalists this past summer. Alec Deckers of the Netherlands defeats Andreas Lavdas of Greece 6-0, 6-1. The finals of the second annual Cayman Cup ITF Tennis Championships will be held at the Tennis Club in South Sound on Saturday. More than 200 players from 29 countries have been competing this week in the Under-18, U-14 and Senior International Tennis Federation divisions. The tournament is part of the Caribbean International Tennis Federation circuit. Tournament director is former Davis Cup player, longtime Rogers Cup director Karl Hale, who is originally from Jamaica. Day three of the 2016 Cayman Cup, as over 200 spectators watched some of the top competitors including Cayman’s Callum Theaker, who won his doubles match with Blaise Bicknell defeating Pedro Laydner and Zen Yoshida in three sets. Theaker collected his first ITF. Some other notables include Alec Deckers, a former Wimbledon Champions’ son, he defeated Andras Lavdas in the men’s singles in two sets. The boys quarterfinals and girls semifinals continues tomorrow, with the seniors on court tonight. 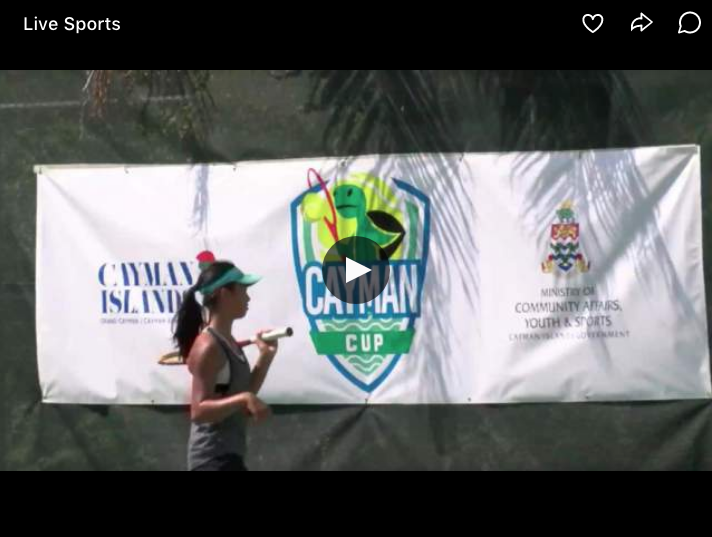 The international tennis tournament, The Cayman Cup, kicked off its 2nd annual event on Monday. The Cayman Cup tournament director, Karl Hale joins Daybreak’s Tonie Chisholm to discuss it in more detail. The 2016 Cayman Cup opened serve at the tennis club yesterday (October 31) seeing players from all over the world in Under 14, 18 and senior devisions representing 29 countries. The man in charge of organising this year’s International Tennis Federation-sanctioned Cayman Cup says the Federation decided to be a part of this year’s tournament again because of how well it was run in 2015. Competition Director and former Davis Cup player Karl hale says the ITF looks at things like facilities, organisation and quality of play. Tournament Director for the upcoming ITF-sanctioned Cayman Cup says he’s pushing for more elite-level tennis tournaments in the Caribbean. The Cayman Islands once again is set to play host to an International Tennis Federation-sanctioned event. The ITF will hold a youth and senior tournament in Cayman at the end of October. 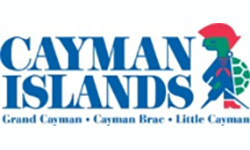 Cayman Islands Tennis Club’s Rob Seward joins host Kevin Morales to talk more about the event and it’s impact on Cayman on the 5 October episode of Let’s Talk Sports, brought to you by Elite Marble and Granite. The Cayman Islands Tennis Club is expecting 250 adult and junior players from all over the world to take part in its second annual Cayman Cup Tennis Tournament. The tournament, part of the Caribbean International Tennis Federation circuit, will run from Saturday, Oct. 29 to Saturday, Nov. 5. On the strength of how well the inaugural International Tennis Federation event went at the Cayman Islands Tennis Club in South Sound, tournament director Karl Hale is confident it can develop into a much bigger event in the future. Hale worked with Rob Seward, the Cayman Islands Tennis Club head coach, and they wrapped up the week-long tournament on Sunday with the finals. Tennis history was made in the Cayman Islands last week when the first International Tennis Federation tournament was held here, at the club courts in South Sound – and the whole event was very successful, despite heavy rains disrupting the schedule at the start. The tournament, which ran throughout the week and finished on Sunday, was the largest tennis tournament Cayman has ever held, with the greatest number of countries being represented. The Cayman International Tennis Federation Tennis Championships started on Tuesday with more than 120 players participating in the event throughout this week. Matches are at the Cayman Islands Tennis Club in South Sound in the largest tennis event ever hosted on the island.